Mini's crossover marks a production milestone two and a half years since its introduction. When Mini rolled out the Countryman in 2010, many observers questioned the logic of taking the compact formula into larger territory. But two and a half years since its introduction, Mini has sold an impressive 250,000 units of the crossover model. The Countryman arrived as the sixth model in the company’s line-up, representing the first four-door Mini (or five-door if you count the tailgate), as well as the brand’s first all-wheel-drive model. And now it's reached a new milestone. The quarter-millionth Countryman - a top-spec JCW performance model - has just rolled off the assembly line at the Magna Steyr plant in Graz, Austria. 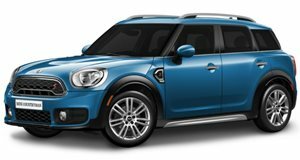 Depending on the market, the Mini Countryman can be ordered in One, One D, Cooper, Cooper S, Cooper D, Cooper SD and John Cooper Works engine specs, with all-wheel drive or front, with a six-speed manual or automatic gearbox. The Cooper S has proven the most popular model worldwide, followed by the Cooper, but while the diesel engines are not available in all markets, they still account for over a third of global Countryman sales.